Personalization- up to 10 letters- is always included! Please don't forget to add the name in the notes section! Please select the Letter or Number from the menu box. While glitter may be shown above, glitter will not be used unless the glitter upgrade listing is purchased at the same time. 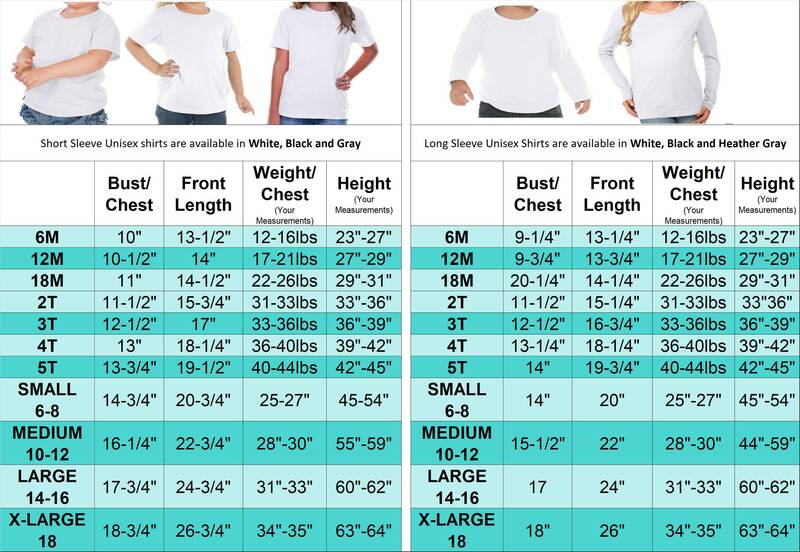 Standard shirt colors are WHITE, GREY, and BLACK for infant and crew cut shirt styles, and WHITE, PINK, and BLACK for girls cut shirt styles. Although the shirt in a listing sample photograph may be shown in another color, the listing price includes the standard shirt color option and will be made according to the shirt color selected at checkout. If no color choice is left in the notes section, the shirt used will be WHITE. Upgrade options are available for other shirt colors. Please message me for color options and upgrade pricing. Please see the shop announcement for our current turnaround times, please allow an additional 3-4 days for shipping. We can allow a few rush orders, please message us prior to purchasing to discuss your rush order. FABRICS: Fabric placement may vary from that shown in the listing photo, these variations add to the uniqueness of each custom piece. In the event that a fabric shown in the photo is out of stock and/or no longer available, Just Cheeky Boutique reserves the options to substitute with another fabric of similar color, texture and/or design. COLORS: Due to photograph lighting and differences in computer monitor resolutions, colors may vary between the actual fabric colors and those displayed on your screen. Exact color matching or color shades are not guaranteed. See something on my Facebook page that you don't see on Etsy!! Please message me to set up your reserve listing!! All Just Cheeky Boutique items are custom made to order. 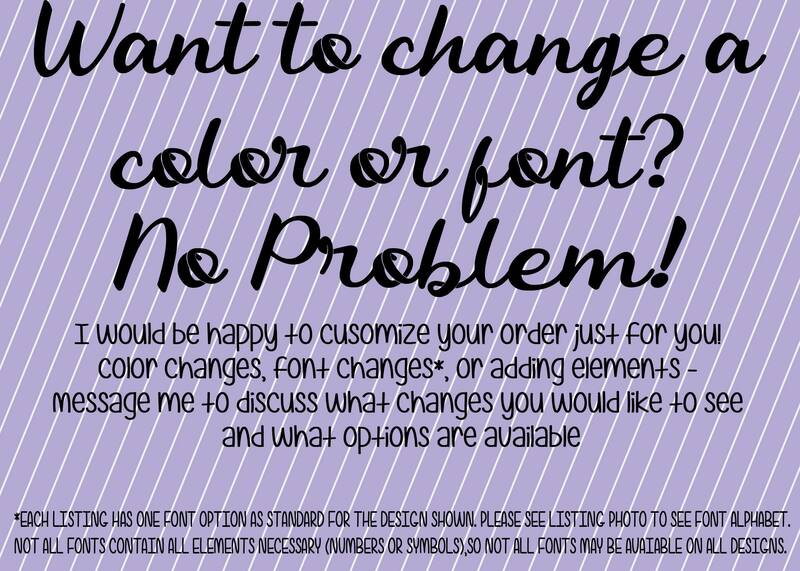 All orders must be paid in full before work will begin on your custom item(s). Due to the personalized nature of our products, ALL SALES ARE FINAL, RETURNS ARE NOT ACCEPTED! The current production time is 3 weeks (21 days) from the date of purchase plus any additional time for shipping. We use Kavio! brand for all children's shirts and bodysuits. Size charts are located in every listing. Because all brands fit differently, it is best to use the measurements on the size chart to find the most accurate fit. The unisex crew next shirts are available in white, black and heather gray. The girls cut shirts are available in white, black and baby pink. 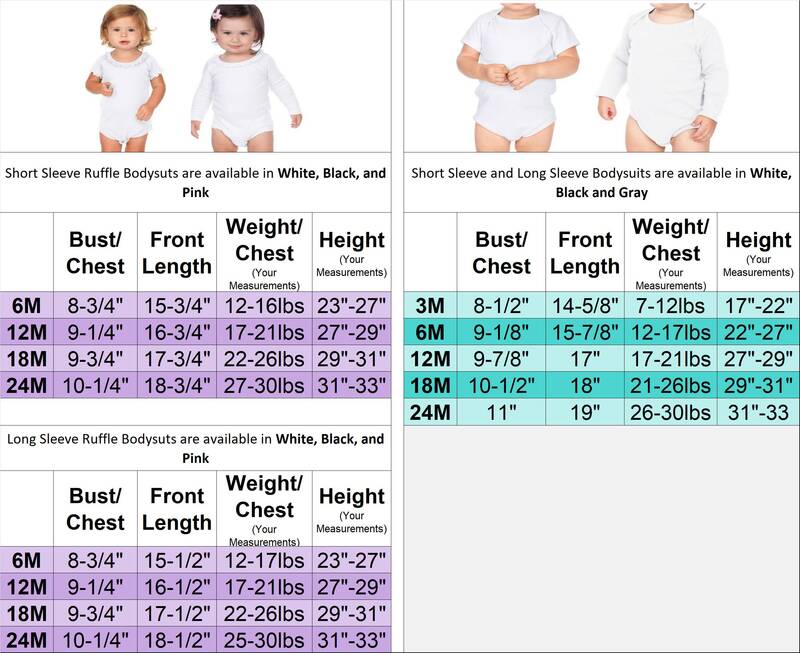 Please refer to the size charts in each listing to find the size that best works for you. 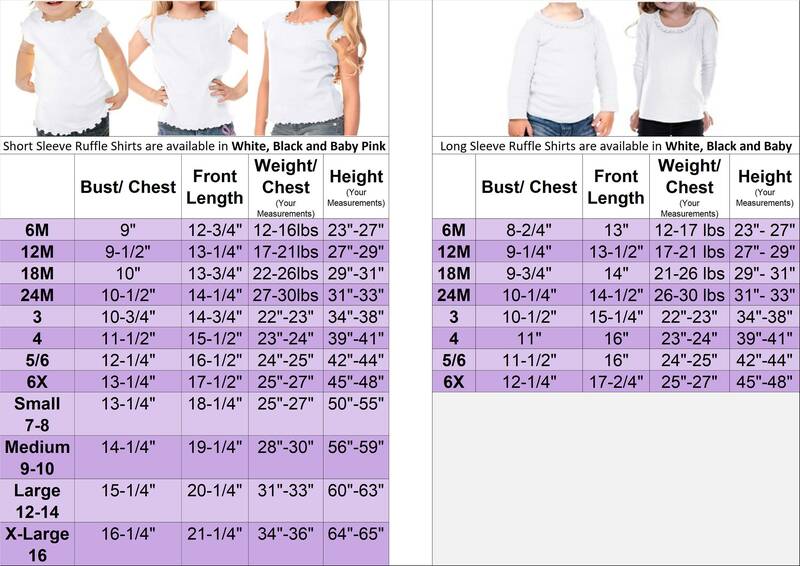 Modeled pictures are also provided on the size charts for style reference. SS and LS refer to sleeve length. SS is for short sleeve and LS is for long sleeve. We can accept a few rush order depending on the date you need your item and the size you need. Our rush fees are $18. This fee includes the priority mail upgrade and the after-hours processing needed to complete an order before our 4 week turnaround. Please message us for rush order availability. We do not accept returns/exchanges on custom items. All listings have a size chart included so the appropriate size can be selected. Just Cheeky Boutique is available to answer questions Monday-Friday 9AM-3PM CST. Messages received outside of those hours may experience a delay in response. 1. Cancellations up to 12 hours following purchase will be refunded 100% of the original purchase price. 2. Cancellations between 12 hours and up to 48 hours following purchase will only receive a 50% refund. 3. Cancellations after 48 hours following purchase are not refundable. I make every effort to double and triple check each item with the information provided in customer orders prior to shipping. However, we are all human and sometimes mistakes do occur. Should I make a spelling, sizing, or color error on your order, I will remake the item after verifying the information provided in the original order. If you feel there is a error with your order, please contact me within THREE (3) days of delivery (as shown by the USPS tracking). Items will be considered accepted and without issue if notification exceeds this time limit. All orders are shipped through the US Postal Service via first class; unless the priority mail shipping upgrade has been purchased. Shipping costs are NOT refundable once postage has been purchased. Buyer is responsible for all shipping costs; including returns when accepted. If an item is returned to me, I will contact you to set up payment arrangements for the costs of reshipping the item to you. PLEASE DOUBLE CHECK YOUR SHIPPING ADDRESS AT CHECK OUT. Address changes CAN NOT be made after checkout. Just Cheeky Boutique can only ship to the address provided in your order invoice.